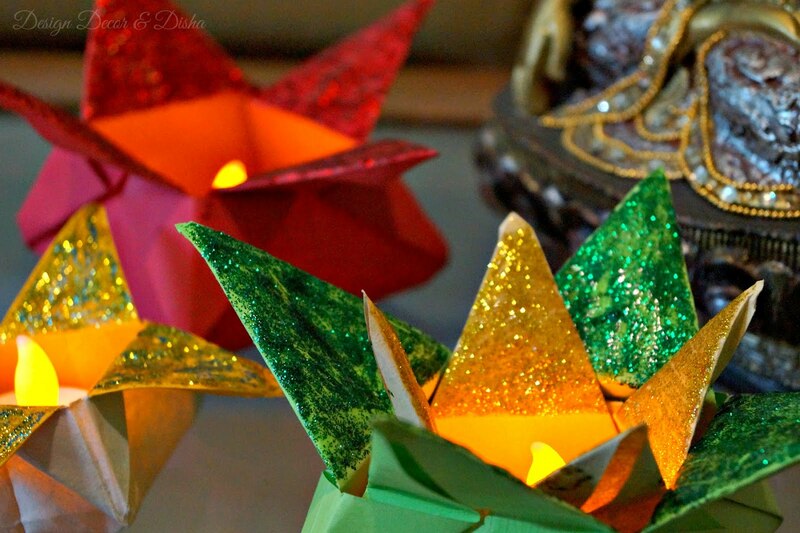 Today we have a very special guest on 3D who will be showing us how to make origami baskets. I said special because he is a cute, charming adorable kid joining us all the way from Australia. Dear readers, please welcome Ishaan Ganguly, a cute little boy with twinkling eyes, tons of confidence and oodles of patience. I stumbled across his Youtube channel Ishaan Tube and instantly fell in love with him and his cute little sister, who is always there to assist him. No matter how many times she interrupts in a video, Ishaan looks at her lovingly and waits patiently for her to finish. 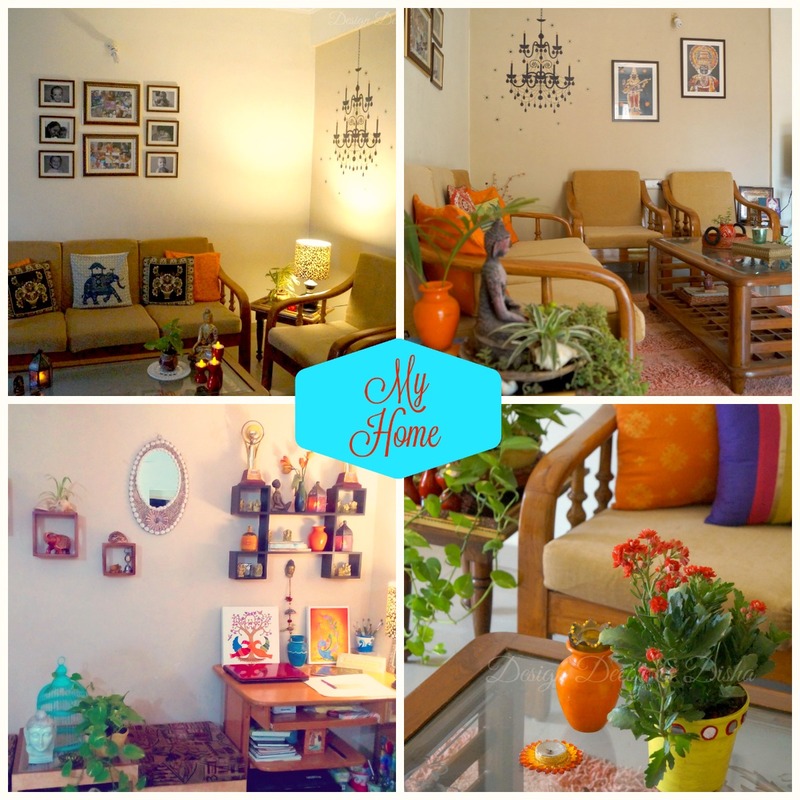 You can subscribe to his Youtube channel to check out more such lovely videos. I am Ishaan from Melbourne! I live here with my parents and my sister. I love playing with toys and also enjoy making things In crafting I like to make an envelope when it's my friend's birthday, I also love to make gifts for people I love. It is also important to recycle and reduce waste, so I make RECYCLING CRAFTS. I like to do it because it's fun! 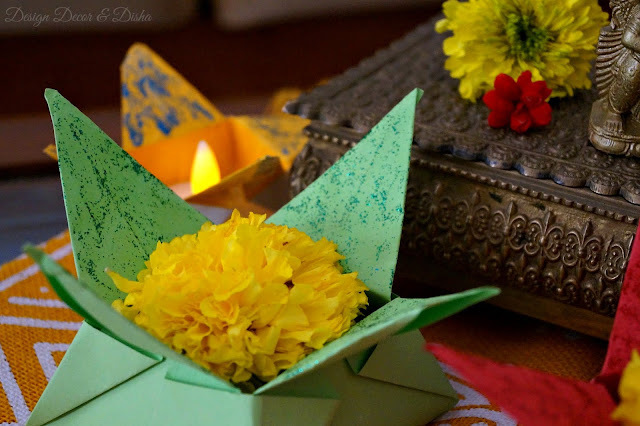 Below is a video where Ishaan has explained very well how to make origami baskets. My son and I tried our hands at making these origami baskets and it turned out quite well. 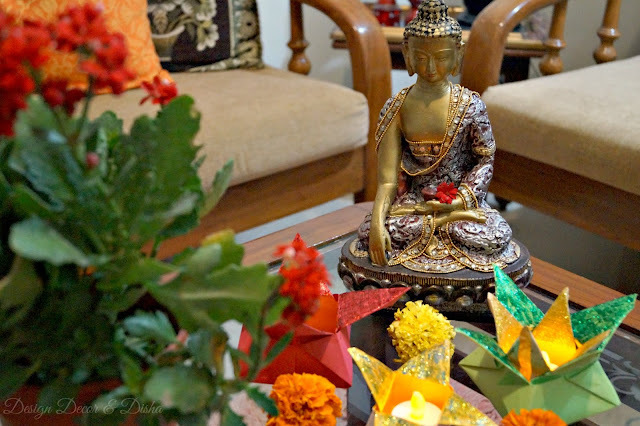 Though we added some personal touches later and decided to use it in our Diwali decor as origami lotuses instead. I asked my son to fill the petals with glitter and this is how he did the job. I gave a second coat of glitter later. Theses origami lotuses can be made in a variety of colors and can be styled in many ways too. Place a flower into it or a LED tealight to add the festive charm. We made origami lotuses in different shapes and kept smaller one inside the larger lotus to make it look more like a lotus with lots of petals. We can't thank Ishaan enough for such a lovely and well-explained tutorial. 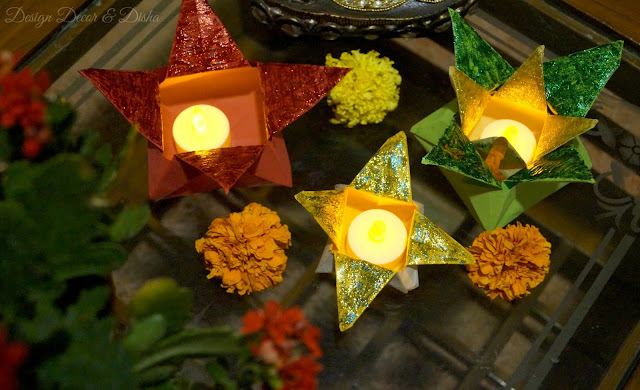 It was great fun doing this Diwali craft with my son. 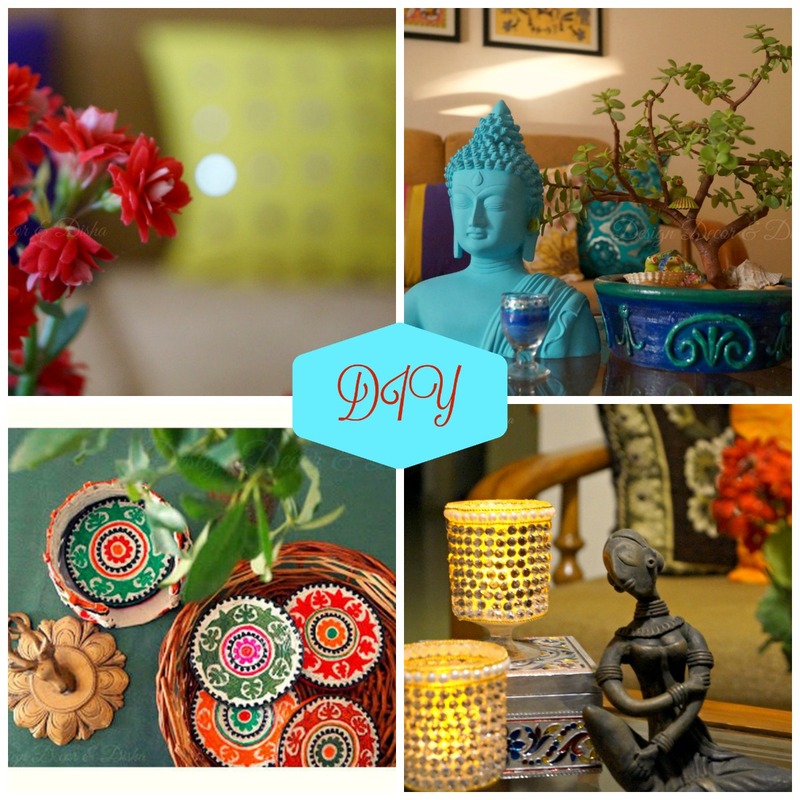 He showed equal enthusiasm in styling and photographing the lotuses. These origami lotuses have sure added a festive bling and warmth in our living room. You can fill the lotuses with chocolates or nuts. 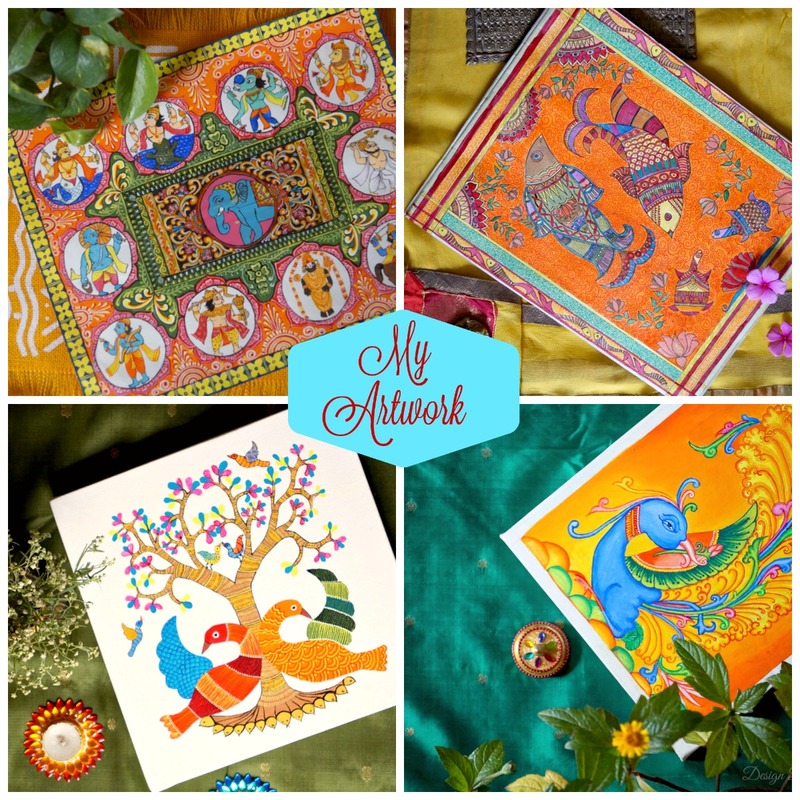 These can make a unique and lovely gift for kids this festive season. Now below is a teaser of Diwali DIY idea that is coming up next on 3D. 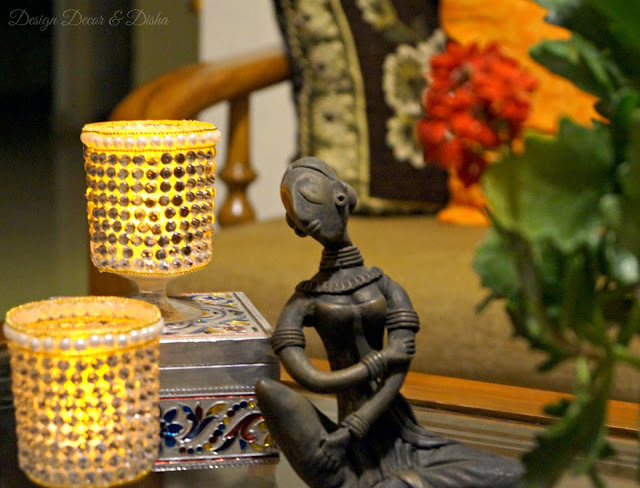 Yes, you can make these beautiful tealight holders at home.